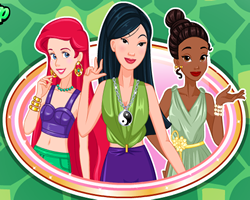 Description: Complete the jigsaw picture of Mulan and her family in the movie, Mulan, to win. There are two levels. Choose between a 20 piece puzzle game or a 40 piece puzzle game. Place each jigsaw puzzle in its correct position on the picture. If the jigsaw puzzle position is correct it will stick to the picture.